Lionel Andres Messi, the footballing God, as most of his fans say, left the entire football world in grief as he declared his retirement from the national team after he lost the Copa America Final yesterday. 1. Messi was born on June 24, 1987 in Rosario, Argentina. His father, Jorge Messi was a steel worker and also coached the local youth football team. 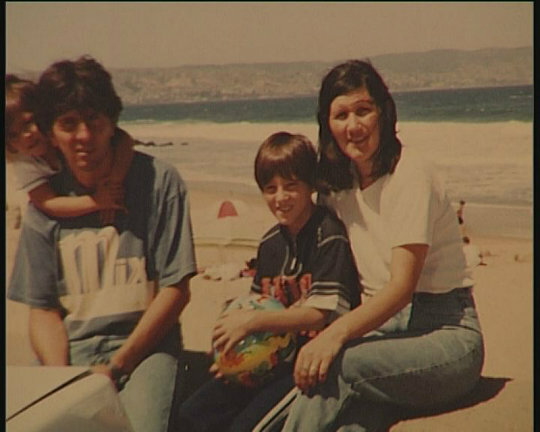 His mother, Celia Cuccittini, worked in a magnet manufacturing workshop. 2. He started playing football at the age of 4 at a local club Grandoli, where he was coached by his father. At the age of six, he joined the Rosario club being the biggest supporter of “Newell’s Old Boys” and idolized Pablo Aimer throughout his childhood. 3. At the age of 11, Messi was diagnosed with Growth Hormone Deficiency which restricted his growth. Along with the height, his deficiency hindered the growth of his immune system and suffered from poor vision. His parents could not afford his treatment which costed $900 a month. With this, his parents relocated to Barcelona. 4. Messi’s selection in the Barcelona club was based on a video in which he juggled with oranges with his feet around 113 consecutive times and the tennis balls around 120 times. 5. Carles Rexach, the sporting director of FC Barcelona saw the video, he wanted to sign Messi,who was just 13, at that very moment and to make the contract official, the agreement was signed on a paper napkin because there was no paper around at that point of time. FC Barcelona promised to pay for Messi’s entire treatment. 6. He began playing for FC Barcelona in the under-14 team. He scored 21 goals in 14 games and by the age of 16, he played his informal debut match with FC Barcelona. 7. At 17, in 2004-05 season, he became the youngest official player and goal scorer in the Spanish La Liga (the country’s highest division of football). In spite of being just 5’7’’ tall and 67kg in weight, he was strong enough and well balanced in the field. 9. With his game being improved every other time, Messi became one of the most dominant players, second after Cristiano Ronaldo in the voting for 2008 FIFA World Player of the Year. 10. In 2009, Messi made FC Barcelona capture club’s first “treble” ” (winning three major European club titles in one season: The La Liga championship, the Copa del Rey, and the Champions League title with his spectacular performances. 11. Messi received the World’s Best Player of the Year for the 5th time after he made Barcelona win another treble during 2014-15 season and also scored a total of 370 goals for the team. 12. Messi has five Golden Balls in total which he won continuously from 2009-2012 and then again in 2015. 13. Lionel Messi has a net worth of $180 million. He draws an annual salary of $73.68 million ($6 million average monthly). His earnings can be bifurcated as $40 million as salary for his game and $33 million in endorsement with brands like EA Sports and Turkish Airlines. 14. Messi’s house in Barcelona is a beautiful place in the shape of a football. 15. He married his childhood love interest Antonella Roccuzzo, whom he was dating since 2009. His son, Thiago, was born on November 2, 2012. “Today I am the happiest man in the world, my son is born and thanks to God for this gift!” he wrote on his Facebook page. 16. Messi is also the founder of the organization, Leo Messi Foundation, which helps give children the best opportunities for education and health care. His foundation, with the help of Herbalife, helps to pay for medical treatment, transportation and recuperation for children diagnosed with major medical problems. Messi is also the Goodwill Ambassador for UNICEF.